Click to download and print recipe. Makes 4 servings. Recipe adapted from AARP. 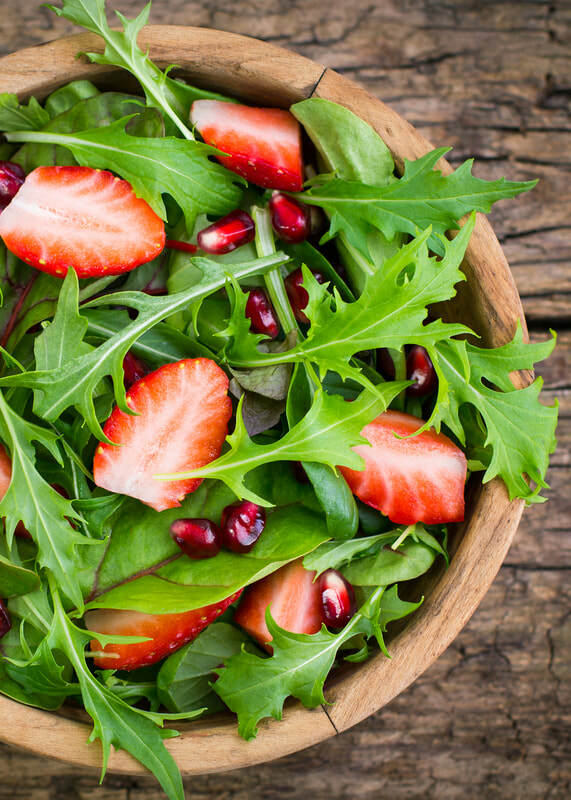 Add arugula, strawberries, Parmesan, pepper and salt. Sprinkle vinegar and oil over the salad; toss gently, sprinkle on pomegranate seeds and serve at once. Aged balsamic vinegar (12 years or older) is a treat, but not an economical one. If you don’t want to spend about for a $40 bottle, use regular balsamic. Alternatively, bring 1/2 cup regular balsamic vinegar to a boil over high heat in a small skillet. Cook until the vinegar begins to thicken and become syrupy, 2 to 3 minutes.